Utilizes a 17mm wrench for installation to quickly and easily fasten the bolt in place. 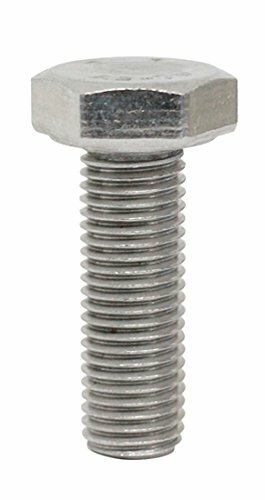 Package contains 2 pieces M10X1.25X30 full threaded hexagon head bolts made entirely from high tensile A2-70 Stainless Steel, providing excellent rust and corrosion resistance in wet environments. General purpose high quality hexagon fasteners with 30mm fully threaded length. Can be extensively used for interior applications: kitchen sinks, pipes, tabletops, stoves, refrigerators, light fixtures, furniture and other home appliances, office equipment, communication equipment, and even kitchenware such as pots and pans.